Shaykh of shaykhs, Leader of the Naqshbandi Silsilah, King of the Auliya, Hazrat Shaykh Muhammad Tāhir Abbāsī Bakhshī Naqshbandī Mujaddidī, alias Sajjan Sāeen, is the leading shaykh of the Naqshbandi Sufi order in Pakistan. He is an Islamic scholar, Sufi master, religious reformer, author, educator, and spiritual guide for millions of people throughout the world. He was born in 1963 in a village called Rahmatpur, near Lārkānā (now part of Larkana city), in the Sindh province of Pakistan. This noble village was the dargāh (dervish convent) of the great Sufi saint of Sindh Hazrat Pīr Mitthā, who revived the Sufism and the Naqshbandi tarīqat in Sindh in the 20th century. When the news of his birth was brought to the holy presence of Hazrat Pīr Mitthā, he was highly pleased and uttered the Azān and Iqāmat in the ears of the new-born. Hazrat Pīr Mitthā himself proposed his name as Muhammad Tāhir which was happily accepted by his parents. His father, Hazrat Allāh Bakhsh Abbāsī Naqshbandī Mujaddidī was the chief khalīfa of Pir Mitha and became the successor to his shaykh after his demise in 1964. Once Hazrat Sajjan Sāeen, then a little kid, was playing, that the noble wife of Hazrat Pīr Mitthā saw him and said, “he will grow up to become a lion of Islam.” The prophecy came true and today he is a leading shaykh and preacher of Islam. 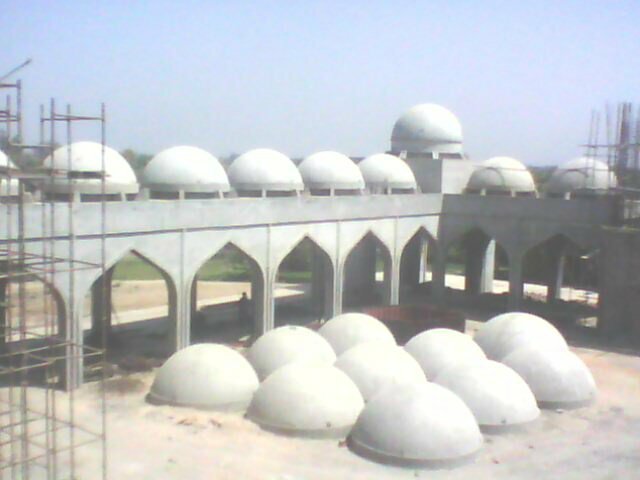 Hazrat shaykh started learning his primary education at the noble dargāh Faqīrpur, located in district Dādū, Sindh. He was merely seven years old when his father sent him to Hyderabad to learn the science of Tajweed from a leading Qārī of that time Maulānā Qārī Muhammad Tufail Naqshbandī, who had taught Tajweed in the Prophet’s Mosque for many years. He started the Islāmic education curriculum Dars-i Nizāmī at the noble dargāh Allāhābād, where he now resides. For learning some of the higher courses in Dars-i Nizāmī, he went to Al-Markaz Qādiriyā Karachi, where he studied from some of the finest scholars such as Maulānā Muntakhib al-Haqq al-Qādrī, Allāma Yahyā Siddīqī, Maulānā Saeed al-Rahmān and others. Later he completed his masters in Islamic studies from Sindh University, Jāmshoro. The first spiritual blessings were showered on him by his grandshaykh Hazrat Khwāja Pīr Mitthā, may Allāh illuminate his shrine, at the time of his birth when he was taken to his holy presence. Later, he was trained and raised in the Naqshbandi Sufi path by his father Hazrat Khwāja Sohnā Sāeen, may his shrine be shining, who was the chief khalīfa of Hazrat Pīr Mitthā and his spiritual successor. Hazrat Sajjan Sāeen was the only son of his noble father, who wanted to make him a leader of Islam and a wali (saint) of the highest stations, so he received full supervision and the best training, and was perfected in the Sufi path, receiving the blessings and spiritual gaze of the masters of this sublime tariqa. Upon acquiring all the highest stages of the Naqshbandi Path, he was finally awarded with the khilāfah by his master and father Hazrat Sohnā Sāeen in 1398 AH. Later he was again bestowed with this honour in 1402 AH and for the third time in 1403 AH. His father fully authorized him in the Naqshbandi tarīqa by awarding him Mutlaq Ijāzah, and designated him as his successor at different occasions. Hazrat Sohna Saeen passed away to the eternal world on 12 December 1983, leaving behind thousands of disciples and hundreds of deputies. Though he did not declare any one as his sole spiritual successor, Sajjan Sāeen was nominated as one by a unanimous decision of all the deputies of his noble master, who renewed their bay’āh with him on the very next day of the sad demise of his father. Thousands of disciples who had gathered there, accepted him as their spiritual master and renewed their bay’ah with him. Who received it from the master of the people of Sindh, the shining star, Hazrat Khwaja Abdul Ghaffār Fazali Naqshbandi, alias Pir Mitha (1880-1964), may Allah sanctify his soul. Who received it from the shaykh of Arabs and non-Arabs, Hazrat Pir Fazal Ali Qureshi Naqshbandi (d.1935), may Allah sanctify his soul. Who received it from Hazrat Khwaja Muhammad Sirāj al-Dīn (1879-1915), the successor of the noble shrine of Musa Zai Sharif. The complete golden chain is available in various books and on the Internet. 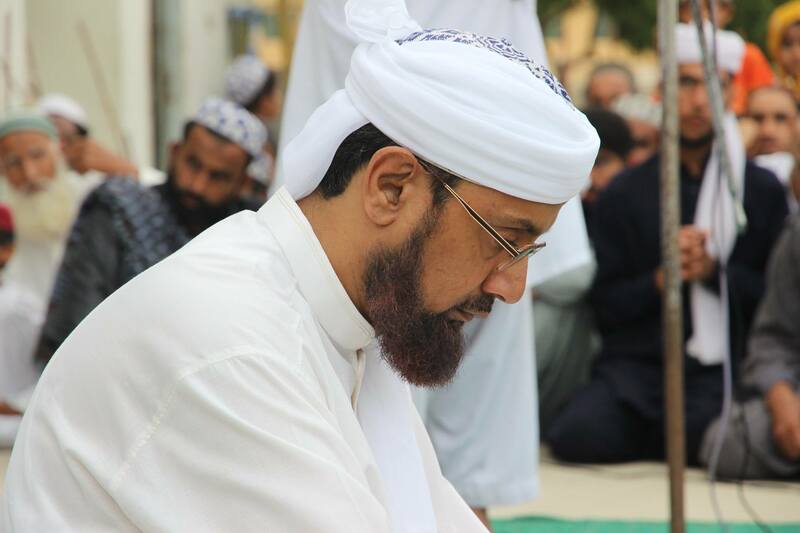 Hazrat Sajjan Saeen has hundreds of khulafa (deputies) who are representatives of his spiritual mission in Pakistan and in many other countries. When he was appointed the successor to his shaykh with a unanimous nomination by all the khulafa of his shaykh, they also renewed their bay’ah with him and now work under his spiritual shadow. Even many of the khulafa of his grandshaykh Khwaja Pir Mitha have also associated themselves with him and have renewed their bay’ah and khilafah from him. A list of his notable deputies is here. Hazrat Sajjan Saeen has written many articles and travelogues, apart from his great book called Jalwa Gah-e Dost in Urdu. This book is a concise and easy work on the spiritual method of Naqshbandi tariqa and contains many short lessons from the Maktūbāt (letters) of Imam Rabbani Shaykh Ahmed Sirhindi. A part of the book provides short biographical sketches of the masters of the Silsilah (his spiritual lineage, starting from the Prophet Muhammad, peace and blessings be upon him). His other writings includes travelogues of his journeys to other countries, a comprehensive treatise on the history and reality of Tasawwuf, spiritual benefits and secrets of fasting, a few articles about his shaykh Hazrat Sohna Saeen, some writings about the reform of Muslims and the Ummah. He writes in Sindhi and Urdu, and has also written a few Sindhi poems. A short biography by his deputy Maulana Bedār Morāī in Urdu is available here. A complete list of his writings is available here. Selections from his poetry (in Sindhi) can be read here. Two volumes of his transcribed speeches have been published titled Khitābāt-e Tāhiriyā and Khutbāt-e Tāhiriyā (both in Urdu). The Awliya of Allah have always been blessed with miraculous powers by Allah Almighty, although this is not a necessary condition for Wilayah (sainthood). The friends of Allah never claim to be a wali neither do they show miracles by their own will, yet some of their miracles and visions get known to others by the will of Allah. In Islamic terms, miracles of prophets are known as Mu’jizah and the miracles of Awliya are called Karāmat (pl. Karāmāt). Hazrat Sajjan Saeen has been given many miraculous powers which are very popular today. His greatest miracle is his complete adherence to Sunnah and his beautiful character full of love, compassion and kindness to others. Another very important miracle is his blessed company. Anyone who spends a single moment in his company, with love and true devotion, gets spiritual elevation and strong emotional push for carrying on with life. Those who were at the verge of suicide, when encountered his company, they forgot their problems and got a new devotion to life and world. One of the miraculous effects of his company is that people addicted to drugs (including smoking) stop using drugs and feel no addiction at all, once they meet the shaykh and receive blessings from him. His prayers are never rejected by Allah the Exalted. Many severely sick people were cured with his supplication. Sindh is a semi-desert region and many areas do not get enough annual rainfall for the crops. Many times the drought-hit poor people came to him asking for prayers for rains, and received huge amount of rain water for their crops. Many of his karāmāt are gathered and compiled in a book by Maulana Muhammad Jameel Abbasi titled Karāmāt-e Tāhiriyā (in Urdu). This entry was posted in Masha'ikh, Naqshbandi, Pakistan, Sindh and tagged Abbasi, Ghaffari, Naqshbandi, Sindh. Bookmark the permalink. Mashallah very good article. I love to read it again and gain. Thank you very much for submission on the internet. Sir this article is so nice and updated. Masha-Allah ! Thumbs up for you! The names of the deputies of Hazoor who are living outside Pakistan with their contact numbers or e-mail addresses so that if anyone wants to contact them then he/she can get them easily. Hope that my humble words will be considered, as it is the need of the time. So nice ..informative and spirtual based artical please continue writing..
Iam from Algeria. I woul like to make bayeaat with your shaykh. could you give his email. Dear Abdelhakim, let me request you for your kind information, our Shaykh can be available to you if you come over Pakistan. We will support and guide as well as take care of you. Subhan Allah.Very noble/holy work done by the administrator, i really appreciate.My Peer Sahib, Peer Sewag also received Khilafah from Hazrat Siraj Ud Din Rahmat Ullah Alah, Mosa Zai Sharif. Respect for All noble chain of Silsalah Nasbandia.